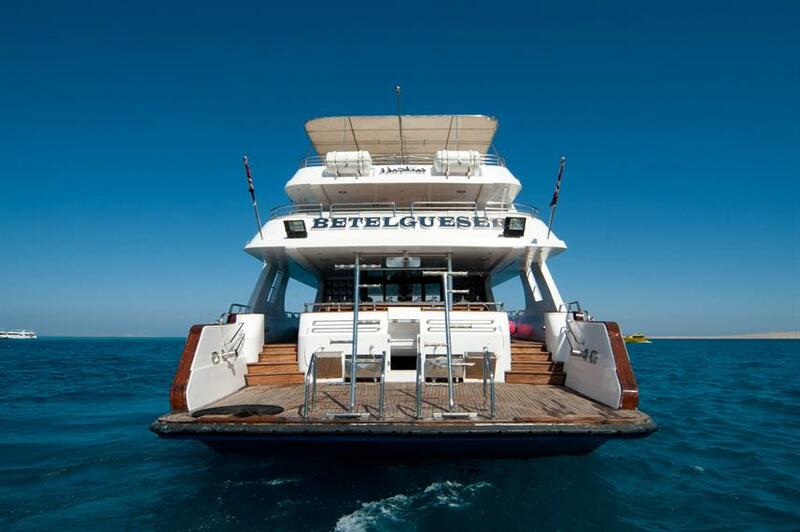 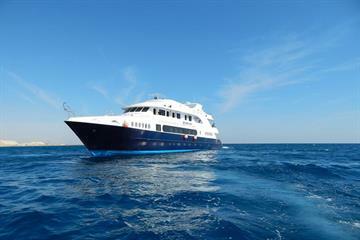 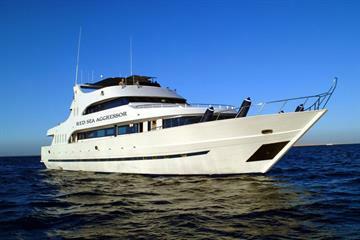 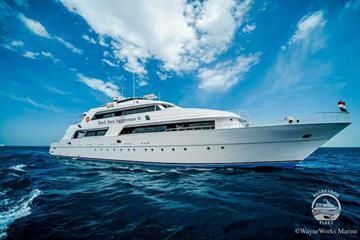 Join the Betel Gueser liveaboard in Egypt for a fantastic Red Sea diving safari. 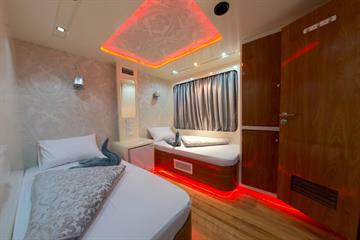 The 36m yacht caters to 22 people in 11 cabins. 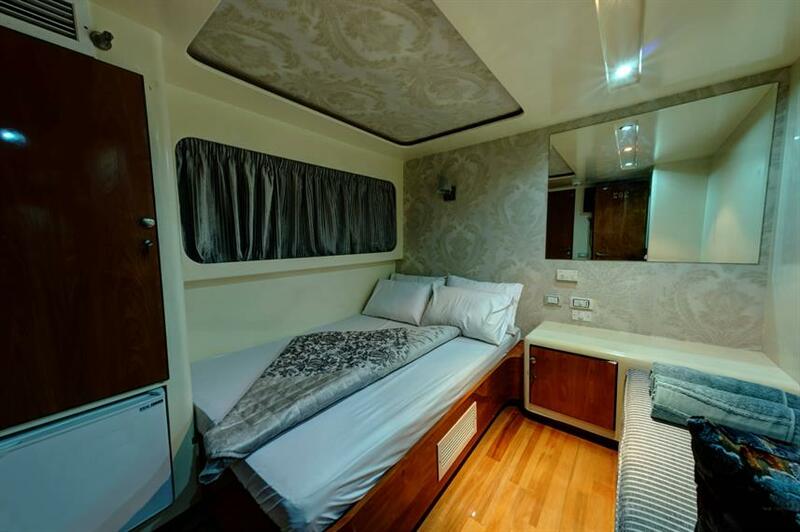 Each cabin features an en-suite bathroom, mini-bar, storage space and AC. 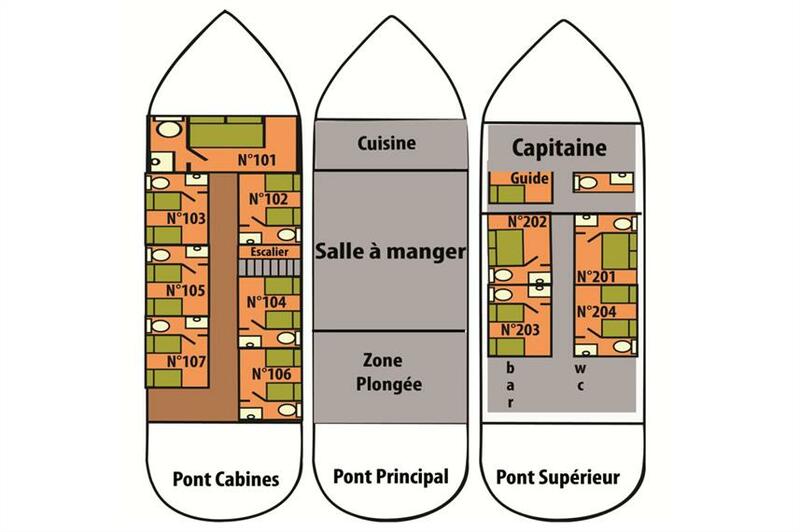 Three cabins have double beds and 8 have twin beds. 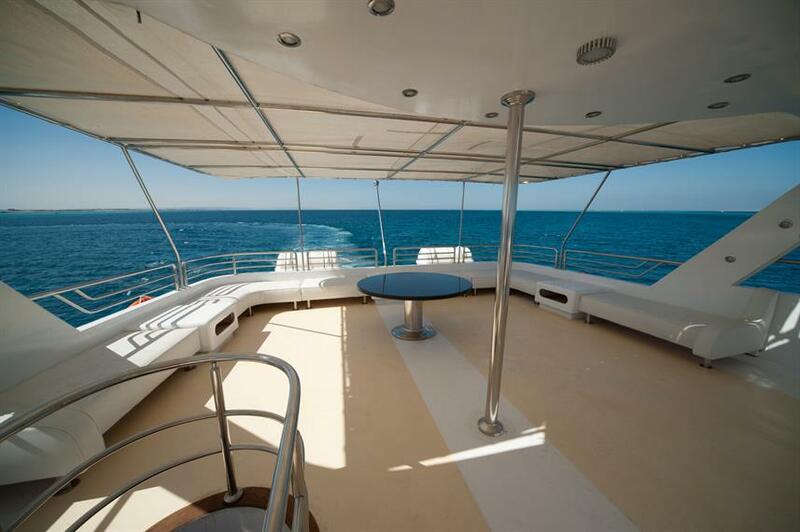 Cabins located on the main deck feature sea views. 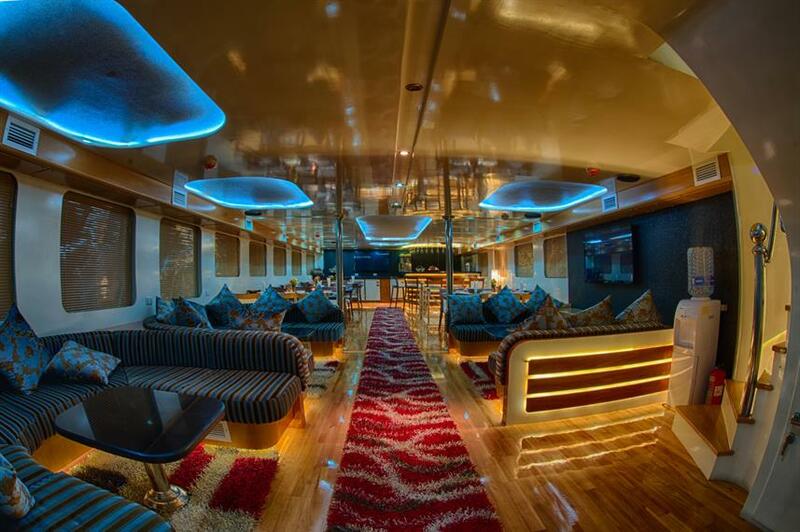 Inside the main deck is a spacious salon with comfortable sofas and entertainment area, dining room, buffet station and bar. 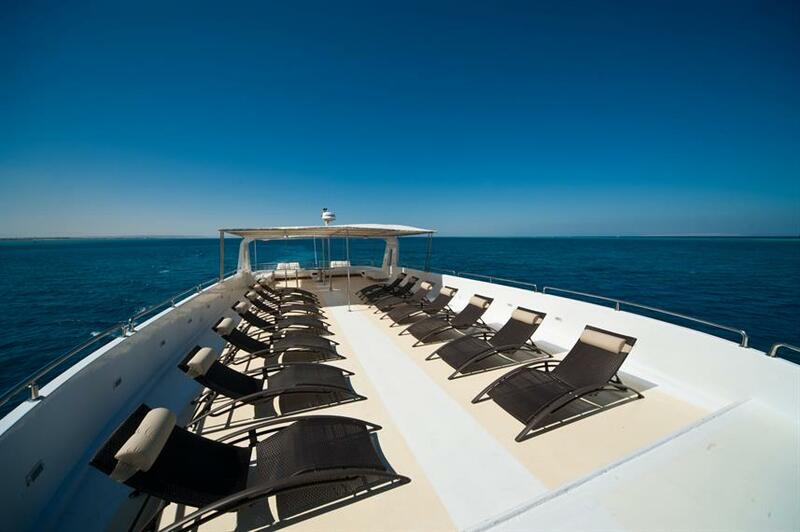 There is also an open-air lounge and bar on the sun deck, the perfect place to unwind at the end of a day of fantastic diving with a cold drink in hand. 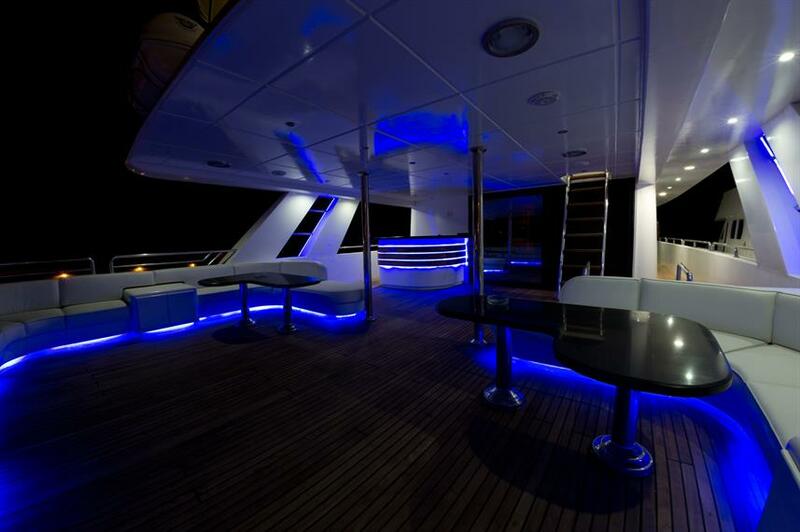 Up on the Skydeck is the third lounge and also sunbeds for relaxing and soaking up the sun in between dives. 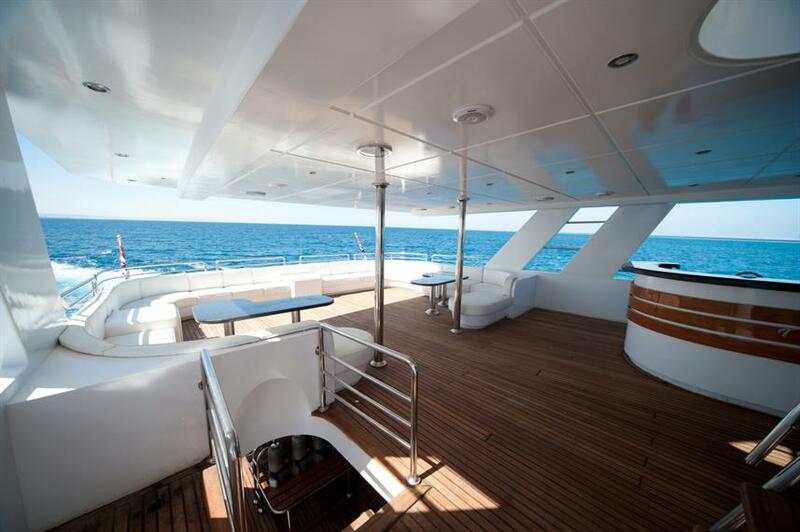 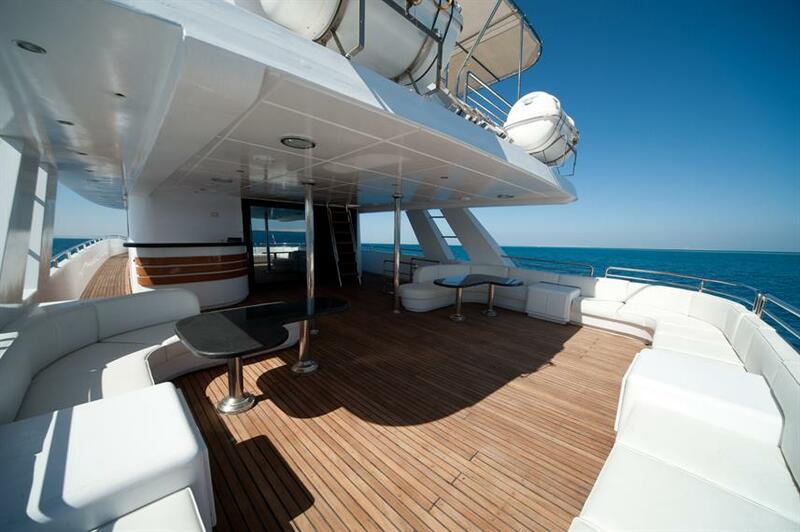 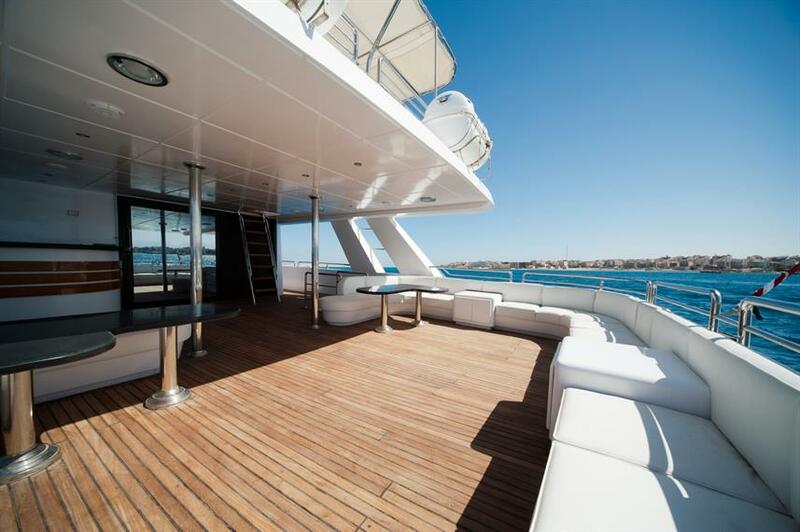 At the back of the boat is a large open dive deck with ample space for gear storage, cameras & kitting up. 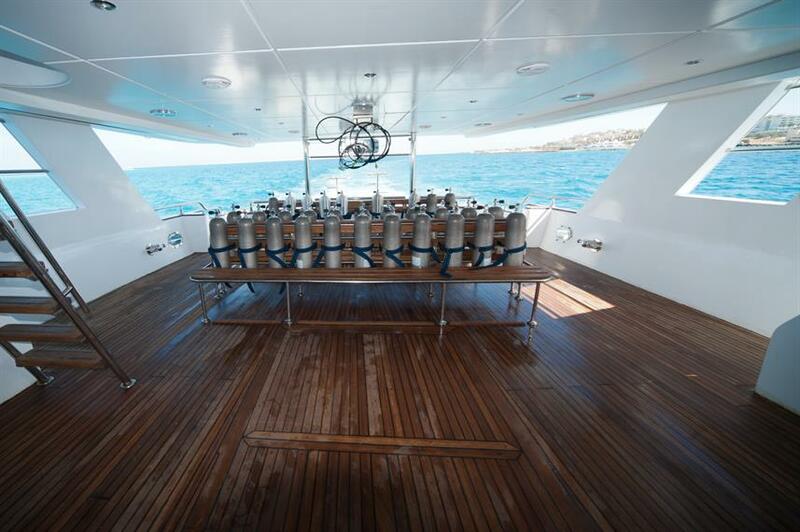 The spacious dive platform has dedicated rinse tanks and allows for easy access to the dinghies or dive site. 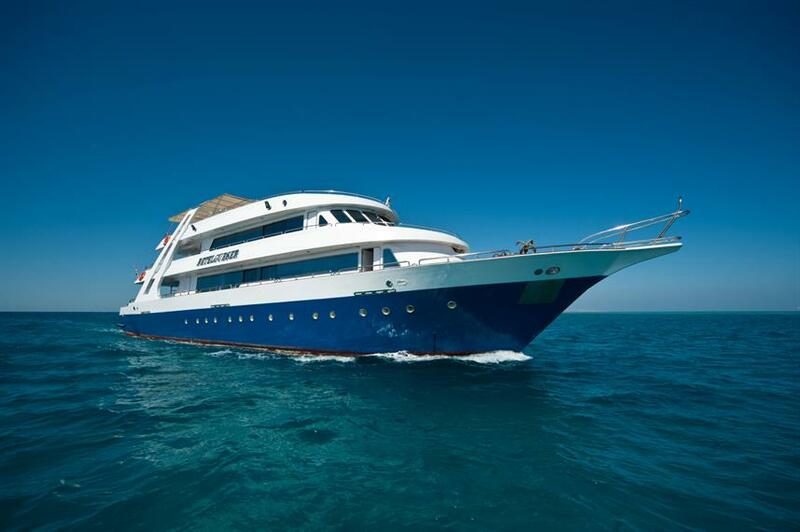 Liveaboard itineraries aboard the Betel Gueser include Fury Shoals, St. John's, the Daedalus, Rock, Zabargad & Elphinstone Route and Northern Red Sea route which includes diving Ras Mohammed and world-famous wrecks the Thistelgorm & Giannis D. Whichever Red Sea dive safari you choose, amazing diving awaits. 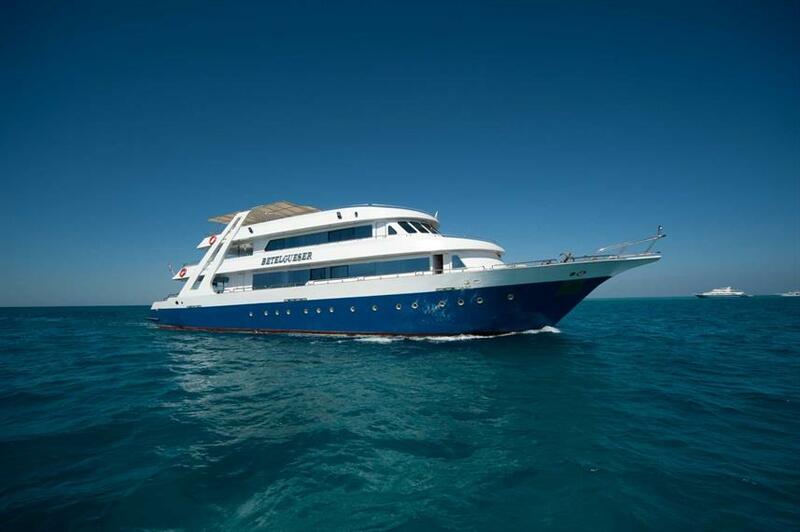 Call us or book online today to reserve your space aboard the Betel Gueser liveaboard and start your Red Sea diving safari. 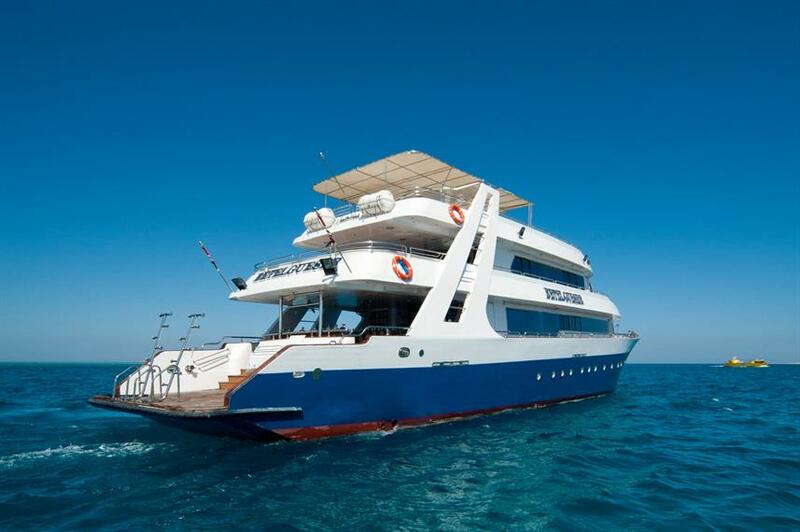 Included: VAT, Airport Transfer, Drinking Water, Tea & Coffee, Beach BBQ, Full-Board Meal Plan (All meals), Snacks, Diving Package, Extra Dives, Nitrox, Land Excursions, Cabin Towels, Complimentary Toiletries, Deck Towels, WiFi internet. 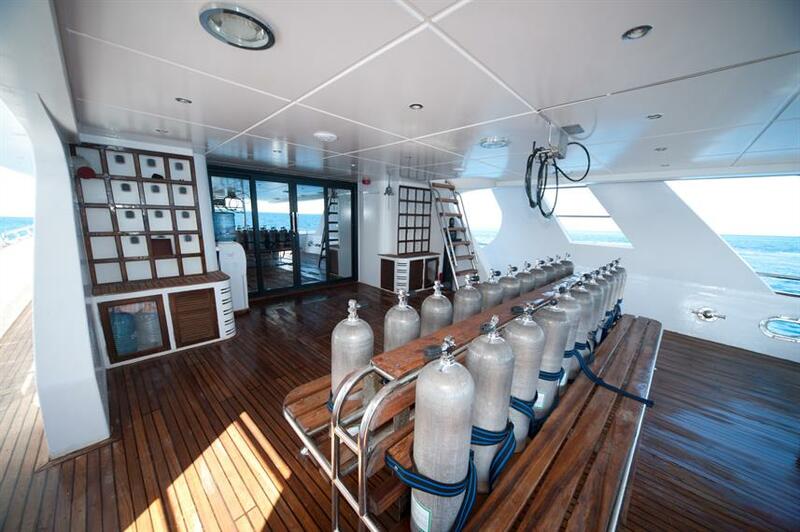 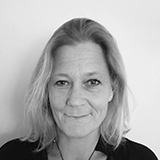 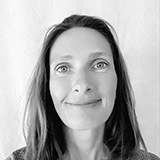 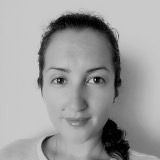 Optional Extras: Chamber Fees (7 EUR per trip), Alcoholic Beverages, Soft drinks, Nitrox Course (130-245 EUR), Private Dive Guide, Rental Gear, Scuba Diving Courses (55-320 EUR), Snorkel Gear, Laundry / Pressing Services, Massage. 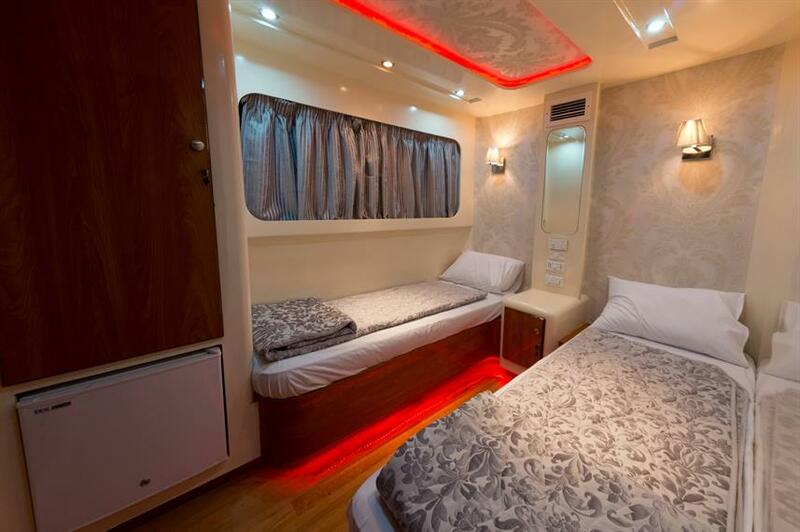 With Double bed equipped with a television and a mini bar. 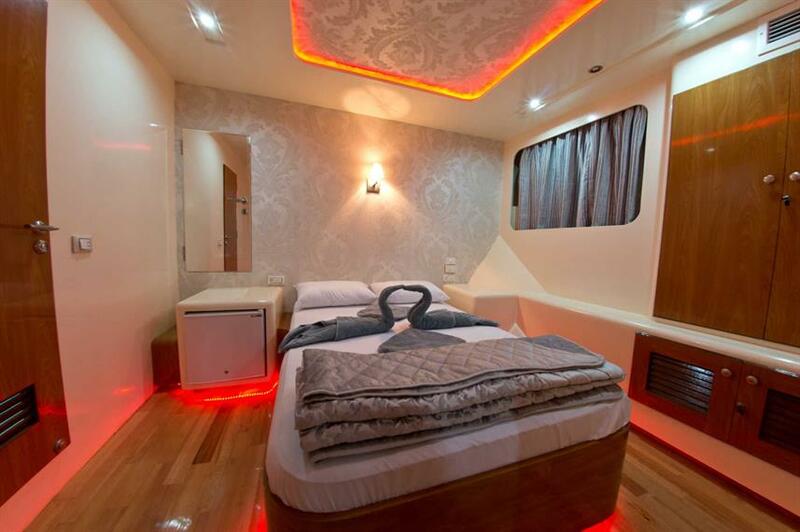 With Twin beds equipped with a television and a mini bar.